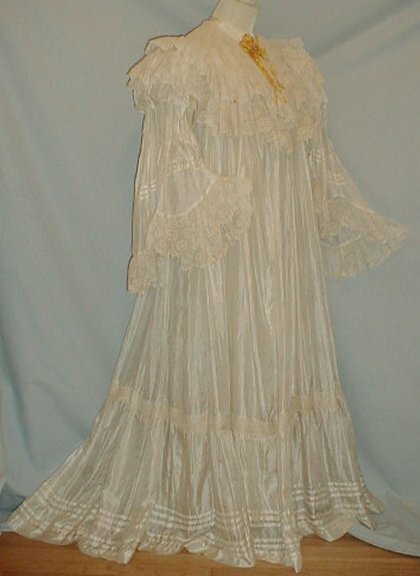 A romantic and frilly 1890’s ivory silk and Val lace lingerie robe. 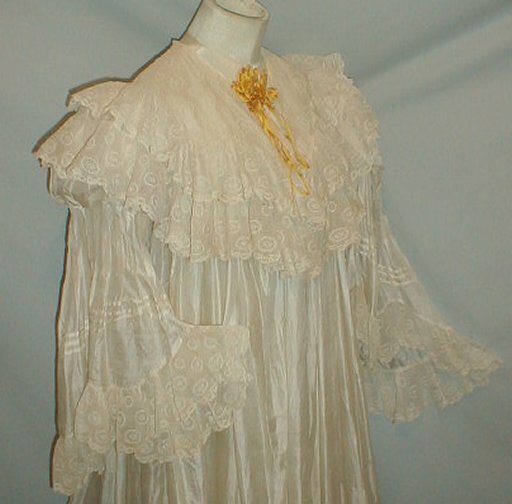 The robe has a doubled tier ruffle around the shoulders and each ruffle is trimmed with flounces of Val lace. 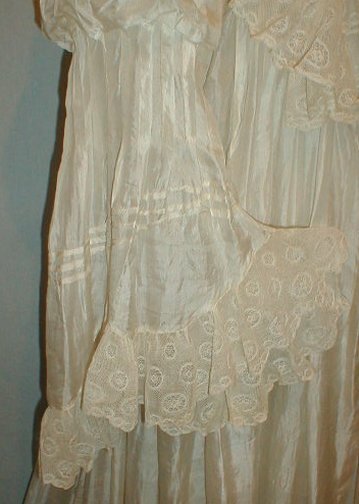 The sleeves are made in the pagoda style. 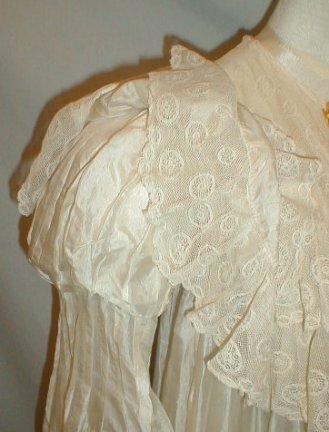 They are puffed at the top and the cuff is trimmed with a wide flounce of Val lace. 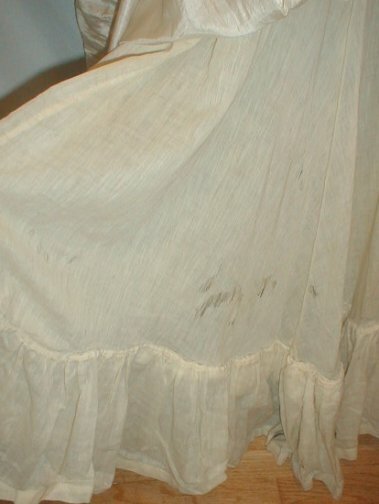 The skirt has an insert of Val lace and the hemline has rows of pin tucking. 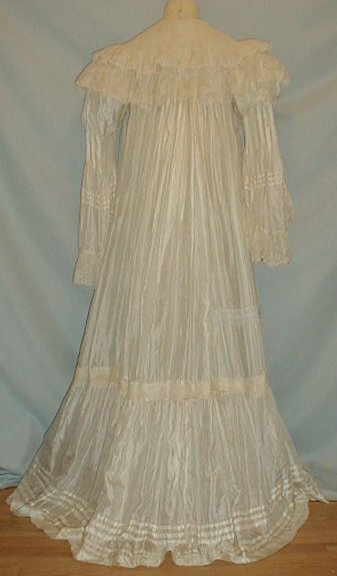 The robe is lined with a wool and silk blend fabric. The robe has a front hook and eye closure that extends to the mid skirt area. The robe is in very good condition. There are no age marks and no underarm discoloration. There are a couple of pencil tip size holes at the edge of the hemline and the lining does have some splitting. See last photo. The lining could easily be removed. A very beautiful garment. Shoulders 15 Bust 36 Length 55. Very nice blog I like the style of the above robe.Great effort.Is this available in a plus size robe?